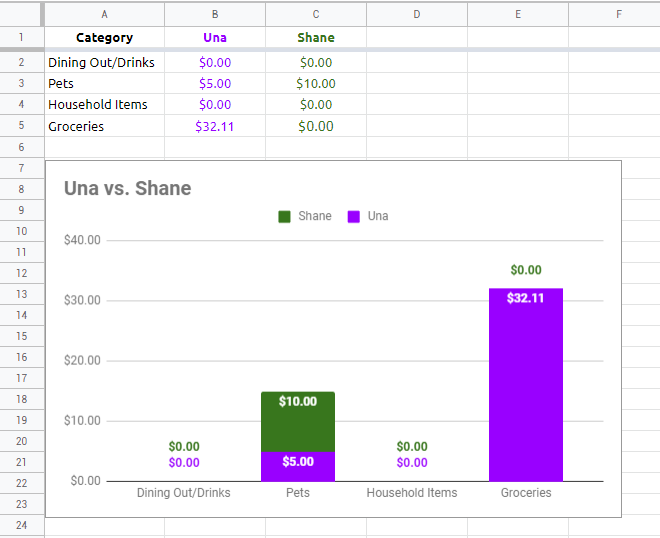 I'm trying to make a chart in Google Sheets to compare how much two people have paid towards something. What I'm looking for is the chart to have several cost categories (groceries, dining out, pets, etc.) and a person-specific colour for the column in the chart. Whoever is positive in that category, their colour would be used to colour the column in the chart (example: Joe paid $10, Julie paid $20, so Julie is +$10 which would cause the column in that category to be purple or whatever). If the amount paid was even in a category, then there just wouldn't be a column in that category. I have a column of cells that does this using a =abs(sum(B2-C2)) sort of idea, and then applying a couple formatting conditions based on if $B2>$C2 and vice versa. This works but I'd just like to figure out how to put this into a graph to make it more visual. I realize I can just place the two amount columns side by side in the chart, but I was hoping I could do it this way. Not the answer you're looking for? 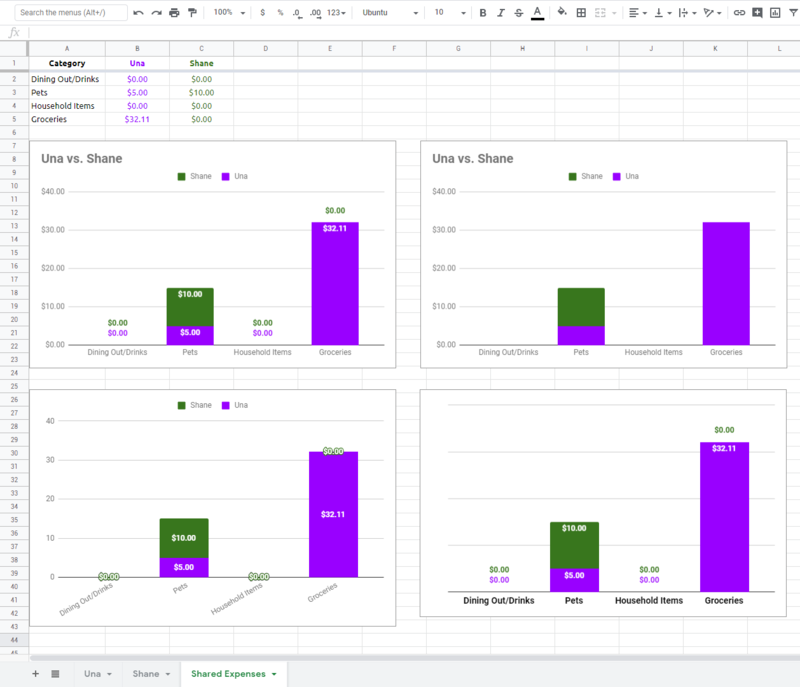 Browse other questions tagged google-sheets google-sheets-charts or ask your own question.